See Mazi Farm in action in the field and get all the insights into what we're up to. 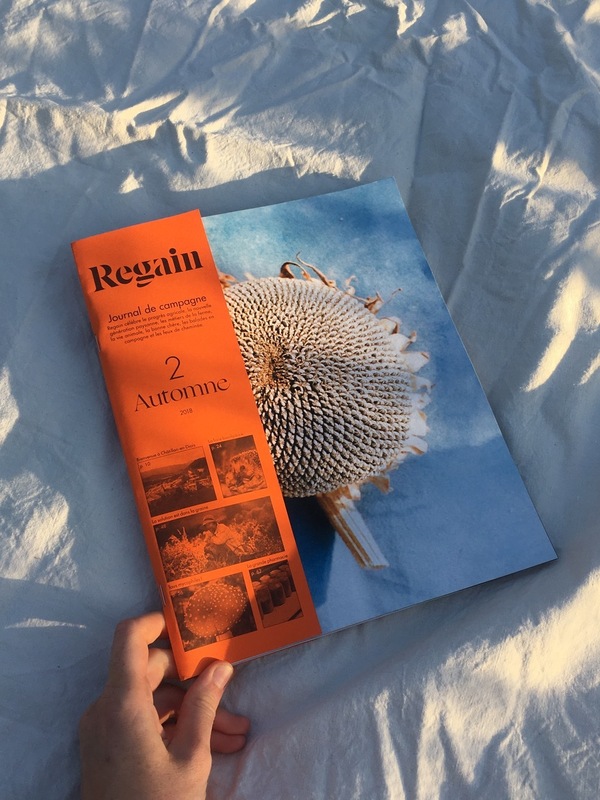 Which regenerative agriculture course is the one for you? Γιατι καποιος να ασχοληθει με τους μυκητες ? Walking around Mazi farm, between a mix of trees and plants of all shapes and sizes, from pomegranates, to grapes, to eucalyptus, it becomes quickly apparent that this way of doing things is a far cry from the miles of monoculture crops we’ve come to associate with conventional farms. You’d be forgiven for wondering how this seemingly chaotic system came into place, but there is method in the madness! And it’s this farm design that I want to talk about here for you today. 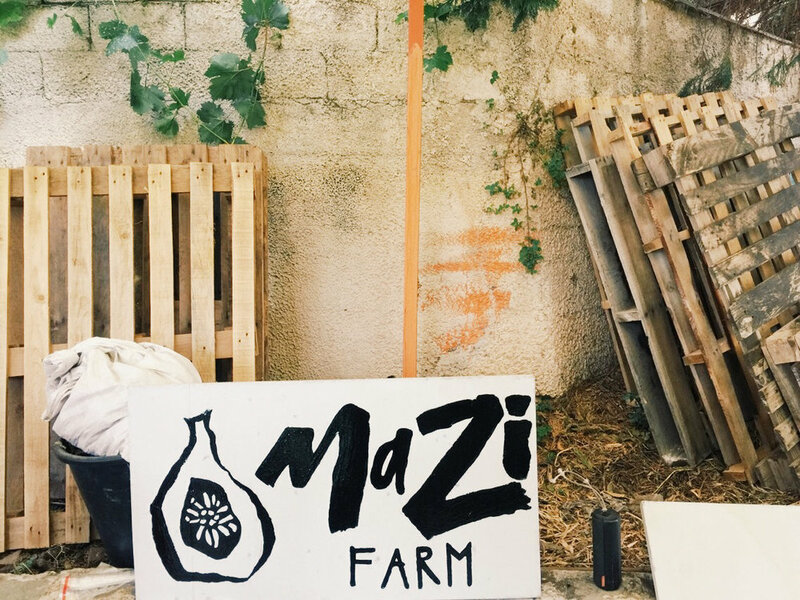 Mazi Farm is what we would call a successional stratified agroforestry farm, rooted in the principles of ecology and inspired by syntropic agriculture, a concept pioneered by Ernst Gotch through his farm in Brazil. The last couple of months have brought a cold snap to our island. People rarely think of the Mediterranean winter, but our farm has been unrecognisable as for the first time we have seen our land covered in snow! Who would’ve thought the closest we’d get to a white Christmas would be in Greece! As well as making the place look beautiful, the cold weather has given us some welcome respite and a bit of downtime to get cracking with some planning for Spring. Unlike elsewhere, farming in Greece means that we have a near year-round growing season. This may have its benefits agriculturally, but means that it can sometimes be difficult to squeeze in that all-important planning, as well as reflecting on the ups and downs of our first year together on the farm, so we’re more than happy to take the chance when the opportunity arises! 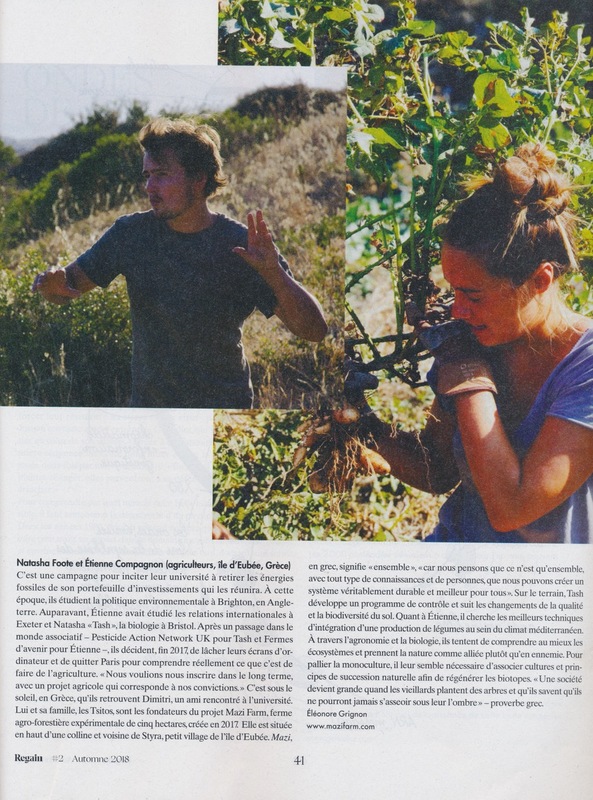 Tash & Etienne, our dedicated team members feature in the latest french Regain Magazine. «Mazi, en grec, signifie "ensemble", car nous pensons que ce n'est qu'ensemble avec tout type de connaissances et de personnes que nous pouvons créer un système véritablement durable et meilleur pour tous.» Sur le terrain, Tash développe un programme de contrôle et et sit les changements de la qualité et la biodiversité du sol. Quant à Étienne, il cherche les meilleurs techniques d'intégration d'une production de légumes au sein du climat méditerranéen. A travers l'agronomie et la biologie, ils tentent de comprendre au mieux les écosystèmes et prennent la nature comme alliée plutôt qu'en ennemie. Pour pallier la monoculture, il leur semble nécessaire d'associer cultures et principes de succession naturelle afin de régénérer les biotopes. Listen to the interview below or click here to read the full article. “Mazi in Greek means together. Which for us means we must get together and create!” Dimitri explained. 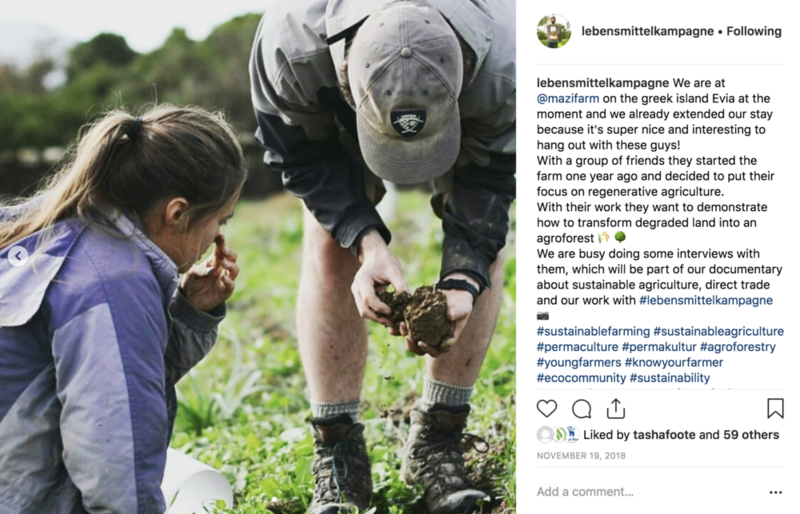 It started about one year ago, but it has all the right cards to have a bright and abundant future; five hectares land where he is experimenting with different Regenerative Agroforestry systems. Planting thousands of fruit trees on Mazi Farm: transforming 5 hectares of degraded land into a commercial agroforestry operation. Traditional olive harvesting on Mazi Farm. Our olives were handpicked and 'cold pressed' within 24 hours in the traditional local mill. This preserved their nutritional value, taste and flavour! Our oil was then tested and found to have an acidity of 0.3%, which classifies it as 'Premium' Extra Virgin olive oil. Burning olive branches is a common agricultural waste management practice after the annual pruning of olive trees. It has become an important source of pollution in the Mediterranean. At Mazi Farm, we've found an alternative WIN WIN. "If we take bees out of the equation, our lives will change forever" We are super excited to have received 40 beehives from organic beekeeper Charis Zois. We are creating an ecosystem for the honeybees, making sure they have a safe habitat far away from any bee-killing pesticides! What if we could fix world hunger, deforestation, loss of topsoil, drought and nutrient deficient foods in 1 way? We can, and it is the future of agriculture. Check out a snippet of a typical day on MAZI FARM.